Super-Star Chess GMs Trivia Photo: Name them, Name Event! 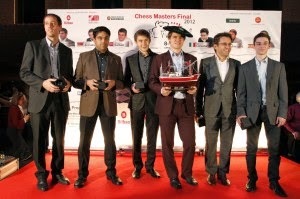 Hello chess friends, this is a high-powered gathering of chess stars for sure. Question for you - Where and what was the event? It surely wasn't the Candidates though it could easily pass of as one at first glance! ;) We will post the answer in the comments... hopefully though may Chess Blog readers beat us to it!